President Rodrigo R. Duterte praised the enterprising families of the Zobel de Ayalas and the Aboitizes, two of the wealthiest families controlling sizeable portions of the economy, in a speech last November 18 in Davao City. 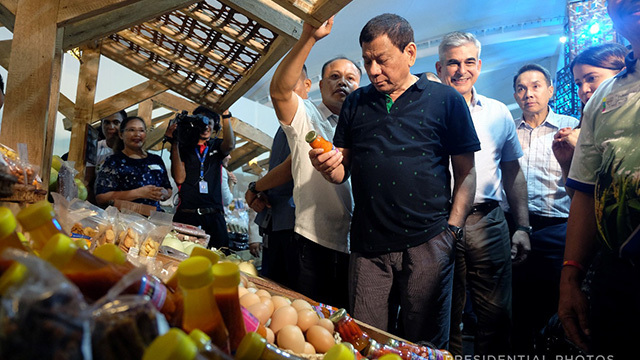 The president spoke at the launch of the Department of Agriculture’s partnership with Ayala Malls called TienDa Farmers and Fisherfolks Outlets, which aims to bring the products of local farmers and fishermen directly to the customers without the intervention of middlemen. “We would like to thank the corporate, the corporations who have the sense of responsibility for their fellowmen,” Duterte said. The president noted how the Zobel de Ayalas have helped the country by their past initiatives, particularly the development of the country’s major financial district. “Were it not for their vision to create another beautiful city which is now Makati, what could have been the developments by then? Then and now,” he said. In his speech, Duterte also reminisced about his childhood life in his hometown, Davao City. “Coming over here, I passed by Davao Light, and sometimes, I would get struck by nostalgia, and I was wondering what would have happened to Davao City were it not for the enterprising family of Aboitiz,” he said. Davao Light and Power Company, Inc. distributes electric power to key areas in the Davao region, including Davao City, Panabo City and the municipalities of Carmen, Dujali and Sto. Tomas. It is owned by Aboitiz Power Corp., the power-generation arm of the Cebu-based publicly listed Aboitiz Equity Ventures (AEV). “Ito ‘yung mga tao na gumagamit talaga. (These are the people that really use [their money]. There’s no doubt about it, they are imbued with the sense of responsibility sa kapwa tao nila [for their fellowmen],” Duterte explained. He said these families embark on meaningful projects not for profit and personal gain, but for their “own sense of fulfillment.” He explained: “Hindi mo naman madala sa langit, lalo na sa impyerno, kukunin ni satanas ‘yan, (You’ll not be able to bring [all your money] to heaven, especially to hell. The devil will take it away),” he joked. 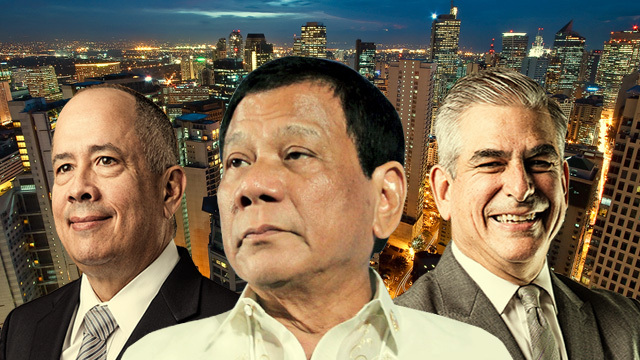 The two families are known for running two of the countries’ biggest holding firms by market capitalization: Ayala Corporation (AC), the second biggest, and AEV, the fourth. In the 50 Richest Families 2017 list released by Forbes magazine, the Zobels (led by AC Chairman Emeritus Jaime Zobel de Ayala) are the 43rd richest family in Asia, with a net worth of $6.13 billion. The Aboitizes didn’t make the cut this year, but they were listed as the 39th in the 2016 list. The president’s favorable statements on the two families stand in sharp contrast to his frequent diatribes against the few wealthy families and conglomerates that control key sectors of the economy such as telecommunications and power but fail to deliver adequate services to the people. Almost exactly a year ago, Duterte vowed to free up the economy from what he described as the “clutches of the few people who hold the power and money” in his speech after arriving from attending the 21-member Asia-Pacific Economic Cooperation (APEC) summit in Peru. 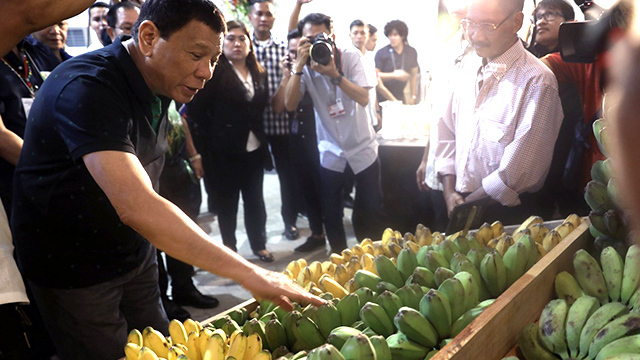 "The only way to make this country move faster to benefit the poor is really to open up communications, the air waves and the entire energy sector," Duterte told a news conference in his home city of Davao, according to Al Jazeera news website.